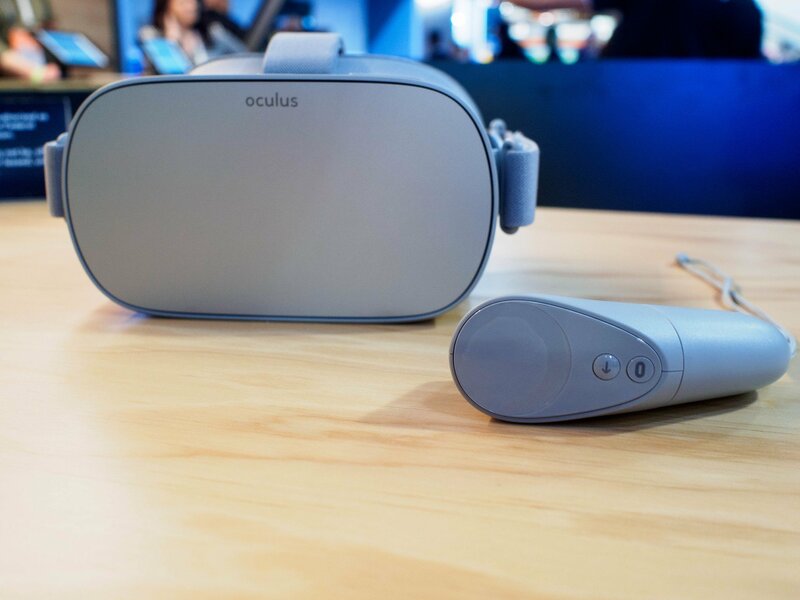 If you find the Oculus Go to be a bit uncomfortable, there are a couple of things you can do to ease the pressure. The first day I had my Oculus Go I began fiddling with how to make it fit right. It’s not that I have the straps too tight or the viewfinder askew. It’s that the darn thing is so top-heavy that my cheeks start to hurt after just a few minutes. I would eventually find myself lifting, pulling, twisting, and doing all manner of things to try to ease the pain, but to no avail. After a few weeks, I’ve pretty much figured out the most comfortable positioning I can manage (though it still starts to hurt after about 30 minutes). If you’re struggling to get the right fit with your Oculus Go, check out some of my suggestions. I know, it seems counterintuitive, especially if you’ve got a small head. Rotating the strap arms (the brace that holds the nylon strap) upward is actually intended to make the headset more comfortable for larger heads. It adds a bit of slack to the top strap. Thanks to a tweet from Car, I learned that by rotating the strap arms upward, it relieves some of the pressure from the cheeks. I tried it out and it really helped a lot. It redirects some of the pressure to your forehead, which is much better at handling extra weight than cheeks. The only downside to this is that it lets in just a tiny bit of light under the nose curve, which leads to my second suggestion. To relieve some of that cheek pressure, get the bottom of the headset over the cheekbones as much as possible. I can position the headset so that the inner nose arc rests lightly on the bridge of my nose while the view is still clear. This, combined with the raised strap arms, lifts a lot of pressure off of the cheeks. Keep in mind that if your strap arms aren’t rotated upward, you might put too much pressure on your nose, which is just as uncomfortable as putting pressure on your cheeks. This isn’t ideal — you don’t want to worry about fashion while you’re playing games in VR, but a backward ball cap or a beanie cap can really make a difference when you’re trying to stay comfortable for long periods of time. This is especially helpful if your head is small enough that the tightest strap adjustment is just a bit too big. If you’re wearing a ball cap, be sure to put it on backward so the bill is on the backside of your head. Try to position your hat low enough on your forehead and the headset high enough that the latter rests on the former. This helps pull the headset away from your cheeks a bit more and relieves some pressure from your forehead. Your best practices for a perfect fit? Everyone’s head shape is different, so everyone is going to have a different method for getting the most comfortable fit with their Oculus Go. Do you have any tips for adjusting for the best fit? Put them in the comments.